Today is a day filled with mixed emotions….Today would have been my Aunt Elsie’s 68th birthday. She was my mom’s baby sister. She was Belinda’s “buddy“. She became a Weston angel in 1999. My past blogs on this day have focused on family and been all about Elsie’s cancer journey. Today I decided to change it up and talk about a path to happiness. Yes, I miss Elsie – everyday. I realized that she would not want me dwelling on the past – she would want me to be happy, enjoying the moment while remembering the good times and not the struggle. With the help of some tips from Valerie Burton, we are going to talk about journaling to reflect and shift your attitude in a positive direction. In her book, Successful Women Think Differently, Valerie talks about the research of Dr. Laura King, a professor at University of Missouri, who discovered that writing about “your best possible future self” actually has health benefits such as boosting your immune system. Apparently, writing about your life has a very positive impact on your emotions. Then when you combine that with some powerful questions, you will be prompted towards happiness triggers and you’ll feel a shift in your emotions in a matter of minutes. No matter what you are looking forward to – dinner with friends, a favorite show or vacation – thinking about it makes you smile. Anticipation is a happiness trigger. So, the inner gremlins are squashed. The positive emotions create positive energy. 2. What was your favorite moment of the day and why was it meaningful to you? It is all about gratitude. It may not be easy but you need to sift through the moments of your day and find the shiny, golden nugget. No matter how small it may be, find that golden nugget. Then to deepen the positive emotion created, then reflect upon why you are grateful for it. 3. What achievement are you most proud of (in your relationship/career/finances/health) and why? Alright, I know the eyes are rolling! Many of you have the tendency to gloss over your efforts or beat yourself up when things aren’t perfect, right? When was the last time you reflected on something you are proud of? Overachievers and people with high standards tend to take themselves for granted and with the feeling that you’ve never done enough, despite your best efforts, your progress isn’t worthy of celebration yet. BOOO!!! You push through obstacles and challenges every day and continue moving forward. That is an achievement. Pick something from your life and journal about what you are most proud of and why you’re so proud. What did it take for you to get there, what did you have to push through, and what does it tell you about your ability to handle the opportunities and challenges that lie before you now? My challenge is to journal yourself to a happier place. I will be journal into a happy place knowing that Elsie is with me. I have so many memories but her strength stands out the most. Her fight, her commitment to our family and her ability to dream big are what help me to keep going when my faith starts to waiver. I DREAM BIG and hold fast for I know that in God’s time, my Weston angels will help me to reach my dreams and my goals. I step out of my comfort zone and I know that she is right behind me cheering me on. Happy Birthday, Elsie. I miss you and I know that even though you don’t like parties – there is one going on in heaven today just for you. July is Going to be a BLAST! 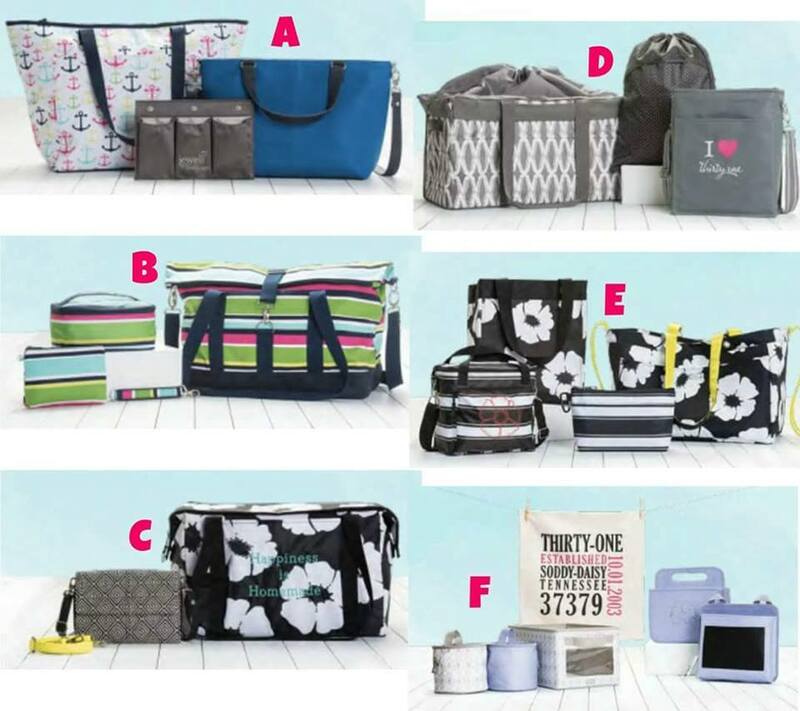 The “official” start of summer has arrived and with it comes LOTS of exciting things at ThirtyOne. I am counting down the days till I will be in my “pink bubble” at National Conference. In the meantime, I will share some things…. #1 – July’s Customer Special is THERMALS! #3 – The BEST deal in the catalog is the enrollment kit….For just $99, you get over $350 in product. This kit is only available until July 20th. See how you can CASH in on some more things this month with just $99. Enter $600 in orders before the 20th of July and you get to pick ONE of these AWESOME bundles. That is an additional $150 in FREE product in the first 30 days on our StartSwell program. PLUS you earn DREAM REWARDS…. Collect points based on your sales and new team members by September 30th and you will earn up to a $1,300 gift card! If you collect $1,000 in PV before July 20th, you will receive the Away We Go Roller for FREE! AND you will also earn at least Level 1 of Ready Set Sell which is more FREE product (a $111 value) from the NEW Fall Catalog…AND for an additional $40 you can purchase the Fall Add On kit which is a $97 value. Contact me directly if you would like to see what are in these special kits. So, you will get a FREE product, a gift card AND you earn commission. You will get paid to have fun and collect all of these FREE perks.